Why is it important to have a Vapor Barrier installed in your craw space? Your crawl space is sucking up moisture from the ground and your home is sucking up moisture from the crawl space. As you know, bad things happen to your house when you mix moisture and wood. Since indoor airflow naturally drifts upwards, we will show you how using a vapor barrier and a dehumidifier in your crawlspace will significantly reduce the amount of moisture in your home. This slowly traveling moist air carries with it mold and other harmful particles. 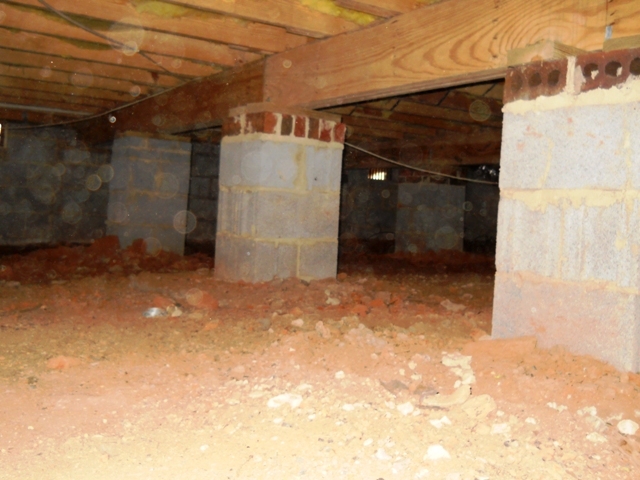 The most common problem with a crawl space that is not insulated is the high moisture level. By installing a vapor barrier, the moisture level can be greatly reduced, which will also help prevent mold and foul odors from forming. Even more importantly is the effects that mold and fungi can cause. If the mold and fungi is not properly treated it can lead to many different health problems. Since the damp soil constitutes the floor of the crawl space, moisture arises to the first floor of the house. This alone can cause many devastating issues. First of all the insulation in the house will become wet. The insulation in a crawl space is installed to help keep floors at comfortable temperatures in both the winter and summer, however when insulation become wet due to moisture rising from the soil in a crawl space it will not heat a house properly. The second problem moisture could cause to floors is causing wood floors to warp. Since the high moisture level in the crawl space affects the temperature inside the home, the vapor barrier will act as a sealant by controlling the moisture, which will make it more energy efficient and in return lower energy costs. 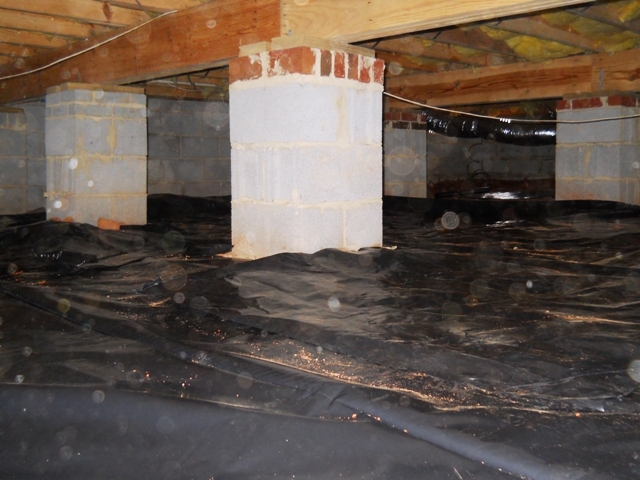 Crawl space insulation also helps prevent pipes from bursting. When conditions in a crawl space have high moisture levels the chances of having termite activity also increase. Termites are very sensitive to climate and only need two things to survive, cellulose material and moisture..